Open Pit or Underground Mine Closure Services. Total integrated suite of mining, environmental and engineering services enabling mine closure and decommissioning from planning, financial estimation to implementation and ongoing monitoring. (Strategic Framework for Mine Closure – Australian and New Zealand Minerals and Energy Council and the Minerals Council of Australia). pitt&sherry have the full range of specialist expertise required to successfully transition from working mine to a fully decommissioned and environmentally stable rehabilitated site. We have demonstrated expertise in strategic planning for mine decommissioning and rehabilitation with a capable and diverse team of environmental scientists, geotechnical and mining engineers plus geologists, planners, economists and spatial management experts. We have successfully undertaken mine closure planning and implementation in accordance with a broad range of Commonwealth and State regulations and also specific ‘in-house’ company requirements. Our team can ensure that mine closure plans and actual implementation will comply with all applicable regulations, legislation and standards. – Our team routinely delivers and implements solutions for ongoing monitoring and management of decommissioning and rehabilitation to ensure long term successful relinquishment of the site. 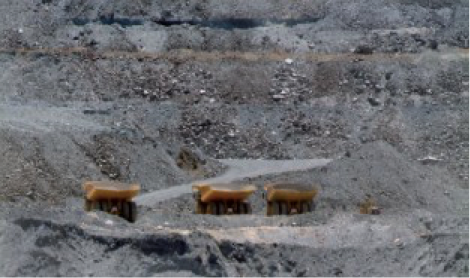 We have been intricately involved in successfully mine closure ranging in scale from hard rock underground mining operations and large scale open pit operations down to minor quarrying operations.